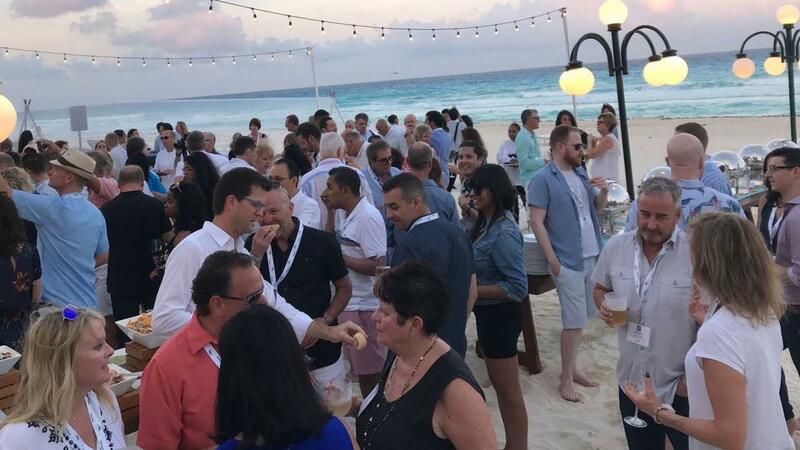 This year’s THiA annual conference was held at the world renowned Ritz-Carlton hotel in Cancun, Mexico. It was the 20th anniversary for the Travel Health Insurance Association. The conference was very well organized and packed with educational sessions and a plethora of networking opportunities from breakfasts to late night drinks and everything in between. We were fortunate to enjoy four days of sunshine and temperatures in the late 20s for duration of the conference. As usual, the conference committee did a fantastic job with sourcing captivating speakers with a variety of really interesting topics. If I had to pick two sessions that I personally found to be most interesting, I’d have to choose the talk by Catherine Bishop at RBC titled “A Match Made in Heaven: Blurring the Lines Between Strategy and Analytics” and the talk by Jim Harris at Strategic Advantage titled “Disruptive Innovation Trends & Impacts for Insurers & Consumers”. In the first one, Catherine shared some interesting insights about how organizations can use data and analytics to learn more about their customers. She gave a very interesting example, where data captured by connected devices like the amazon home speaker can be used to promote healthy life style choices and potentially reward low risk consumers by reducing their insurance premiums. In the second one, Jim talked about how technology is evolving at a rapid rate and it is influence on consumer behaviour. He gave many great examples but one that stuck out the most was the growing popularity of ride sharing and its future evolution to self driving cars. In addition, the rise of the electric car market and specifically Tesla and the effect it has on the world. GDPR stands for General Data Protection Regulation, a regulation in EU law on data protection and privacy for all individuals within the European Union and the European Economic Area that went into effect on May 25, 2018. Given that many THiA members operate globally and more specifically have European clients, GDPR was a hot topic commonly referenced in many of the conversation we had. We all handle client data on a regular basis ranging from medical records, financial documents and sensitive information that falls under personal identifiable information. Ultimately, organizations want to be compliant. By taking steps to improve their security posture, they become better equipped to protect the privacy of their clients. For organization STILL using regular unencrypted email for client communication, the time has come to take action to protect client privacy. This year was the first time ever that trade show booths were used at THiA annual conference to feature a selection of companies. TitanFile was one of six organizations that had a booth and it was an amazing experience. 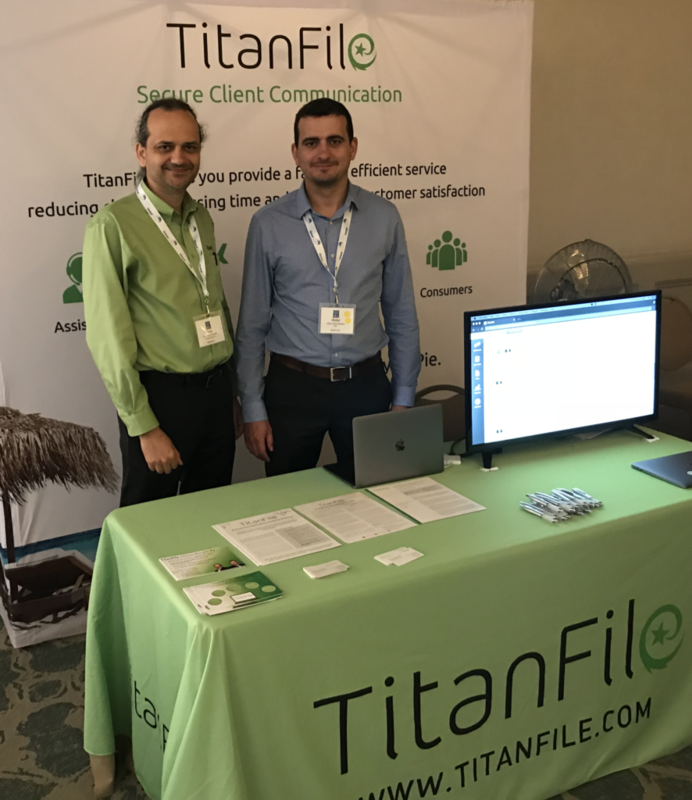 The booth provided additional visibility and the ability to share a clear value proposition on how TitanFile help THiA members in the insurance ecosystem. The booths were strategically placed in the networking area outside of the educational sessions where the coffee breaks took place. It was a great way to meet so many new people and to give the audience a chance to casually stop by and learn more. Overall, the booth was a great success!